Home / Dog behaviour / Five signs your dog needs a bath. 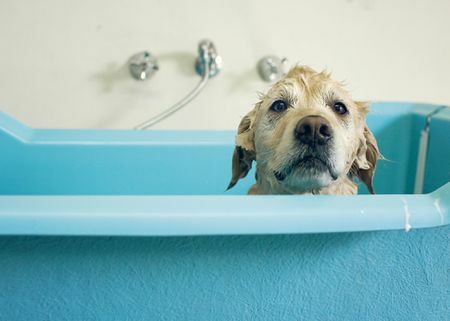 Five signs your dog needs a bath. 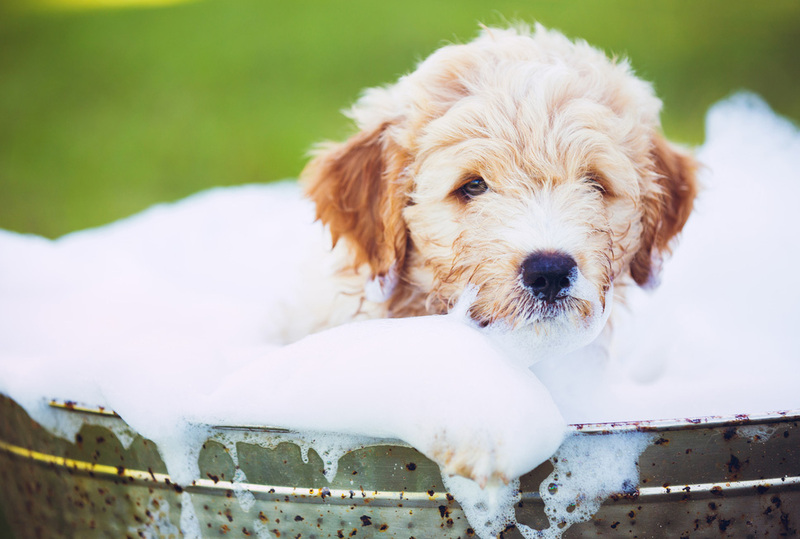 We are inundated with reasons why we should or should not bath our pooch so many times a year. The reality is, your dog needs a bath when they need a bath. So how you do know your dog needs a bath? We’ve compiled our top reasons! Not surprisingly this is top of our list. That dog smell, especially smaller dogs! smells, the sofa where they lie smells. bath, wash the blankets or covers on the sofa and give their bed a good wash too. more subtle indications Fido is a little less than squeaky clean. Look around the house, does he lie against the baseboards? walks into rooms, you may see patches start to appear. If he has a light colored bed it may appear more murky than usual. Whilst he may not obviously look dirty, the signs around your home could tell a different story. Some dogs do suffer with dry or flaky skin for a range of reasons. Sometimes trapped dander, dirt or impacted hair can exacerbate this problem. Pop him in the bath and use a soothing shampoo. contain the active ingredients permethrin or pyrethrin. But there are more natural shampoos which include oils like citronella, lemon grass, cedar, clove and/or peppermint. These then work as a repellent. Don’t forget to use your flea comb too! But if their coat appears less shiny or soft or appears more greasy than normal, a bath will likely and/or peppermint. These then work as a repellent. But if their coat appears less shiny or soft or appears more greasy than normal, a bath will likely get it back looking tip top.